I love when we are "playing" with Ancient Greece in part because the influence on our modern society is apparent everywhere - democracy, architecture, philosophy, branches of government,...well, you get the idea. Of course not all of my students share my enthusiasm, but that's okay, too. My goal when we do "have tos" is to find ways for even reluctant students to engage with the material. 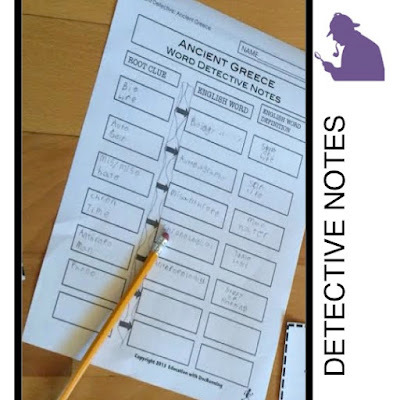 A big part of this is with student projects but I also try to get students engage in their learning through fun activities such as the Greek word detective. Part of our Greek unit, includes an introduction to the connection between Greek roots and modern words, which as in part inspired by my high school teacher who focused all our vocabulary on extensions of Greek and Latin roots. 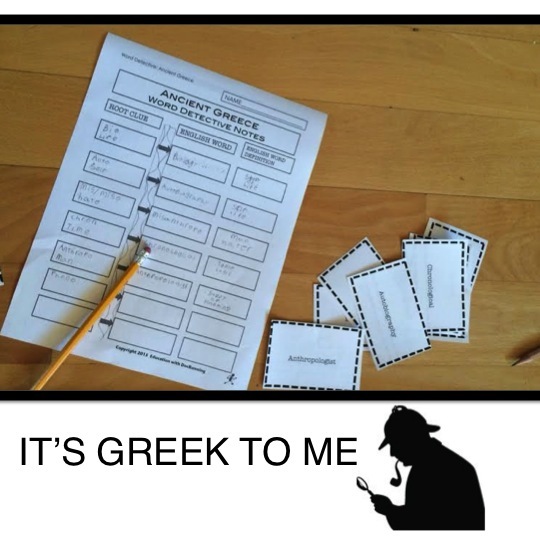 For this inquiry lesson, I put together a Greek word detective station activity, because really, a mystery makes even vocabulary a bit more fun. I hid Greek roots all over the room, and I mean everywhere - under desks, on the sides of bookshelves, within bulletin board displays. These were the clues. Then I scattered words that came from these roots. Students took copious detective notes on the clues then looked for words (the evidence) related to the clues. The clues were used to help students generate definitions for the modern words. 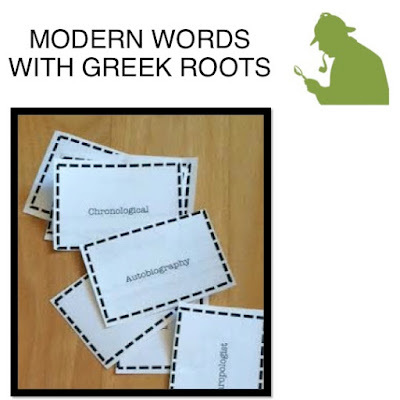 This activity wasn't about knowing the exact definition as it was about using inference from the clues as well as seeing connections between the modern world and Ancient Greece. In the weeks following it was fun to see those connections continue. When a student recognized "auto" as meaning "self" and as the root in automaton from Hugo Cabret, I simply had to smile. 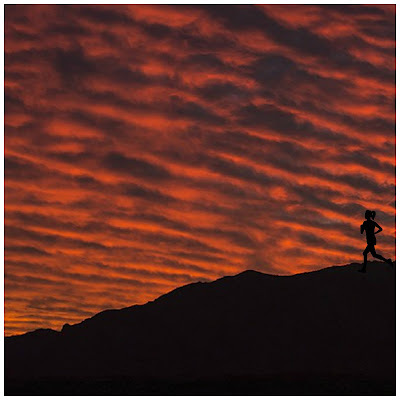 For more Greek ideas, you might like the post about books to go with the study of Ancient Greece.